Supporting all HTTP methods. 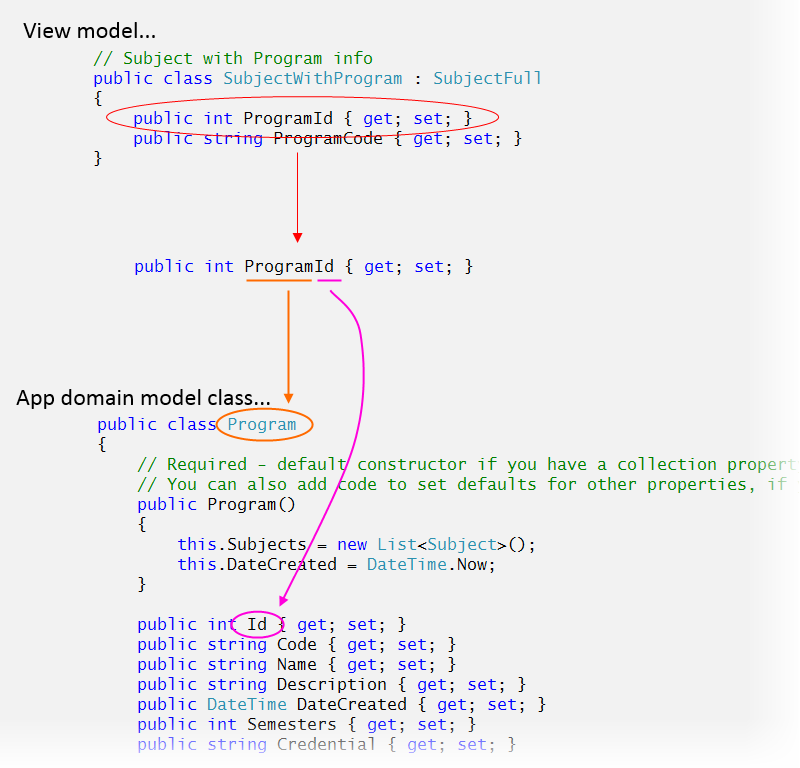 Associations and navigation properties. Adding objects with associations. AutoMapper tips. Open the repository, week 3, and look for sep20v1. The following diagram captures the actions and data that flow from a request to a response. The problem domain continues to be the familiar School of ICT “Programs” and “Subjects” entities. 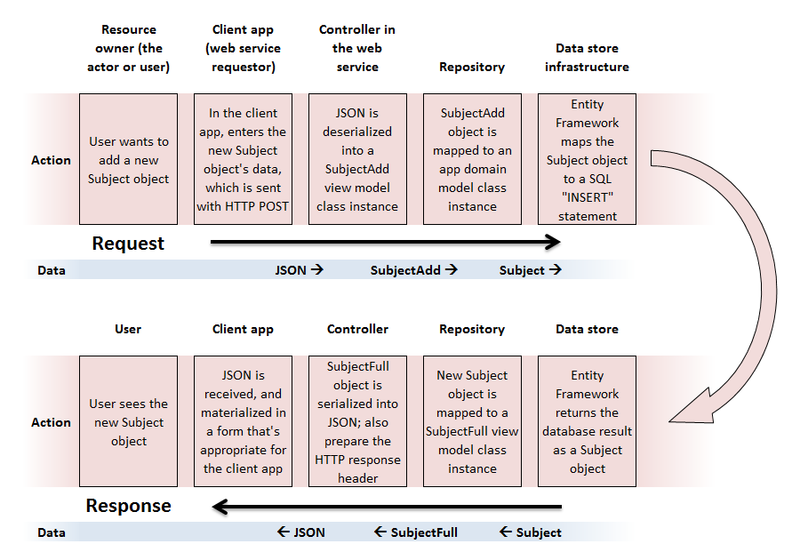 In the diagram, the requestor / user wants to create a new “Subject” object. Click the diagram to see it full-size in a new tab/window. You will often model real-life objects that have associations with other objects. In our examples, a ‘Program’ has a collection of ‘Subject’ objects, and a ‘Supplier’ has a collection of ‘Product’ objects. Looking at the other side of the association, a ‘Subject’ object belongs to a ‘Program’, and similarly, a ‘Product’ is made by a ‘Supplier’. 2. In the repository, when the code fetches the object, add the Include() extension method to fetch its associated collection. 3. In the controller, add a method that will call the repository method; a typical pattern is to use a query string parameter. 2. 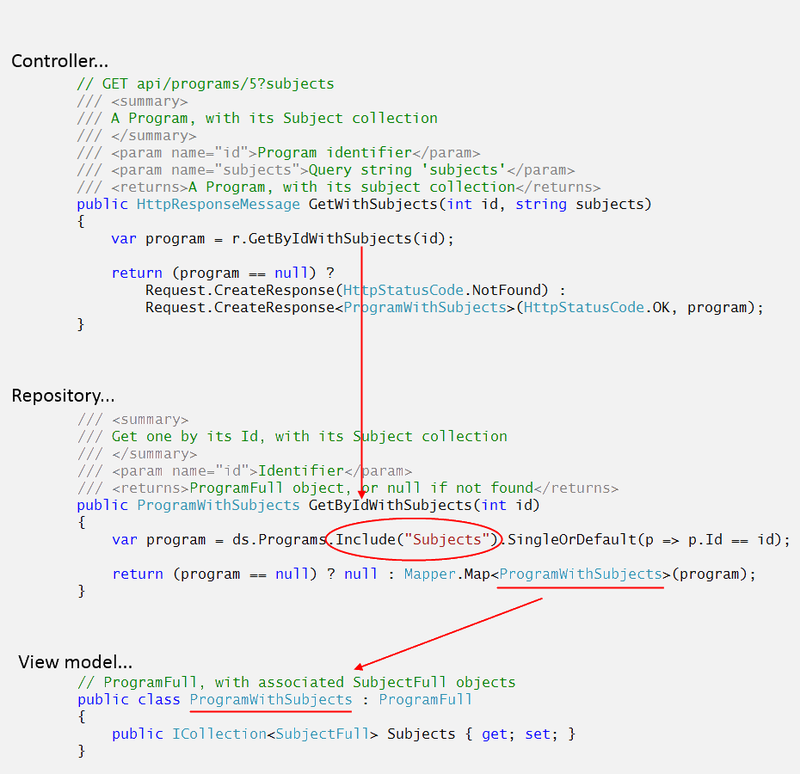 In the repository, when the code fetches the object, add the Include() extension method to fetch its associated object.